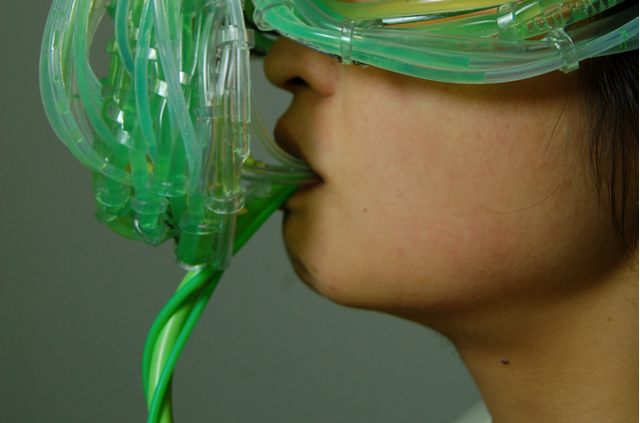 In the bizarre performance art piece “The Algae Opera,” an opera singer’s breath was used to feed algae which in turn was fed to the audience (video). 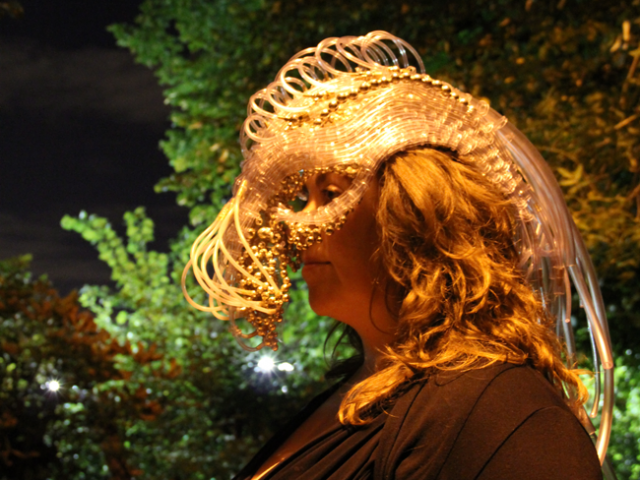 A special mask captured the singer’s breath, piping it to containers of algae, which fed on the CO2 contained in her breath. The song’s composition and the singer’s vocal technique were optimized to increase the quantity and improve the flavor of the algae. 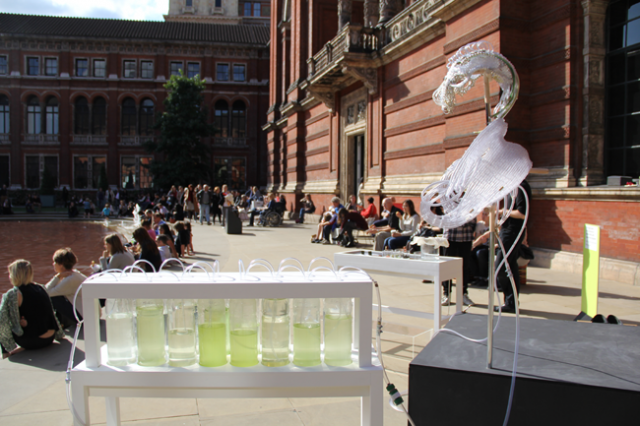 The performance occurred during the Digital Design Weekend last week at the Victoria and Albert Museum in London. “The Algae Opera” was created by After Agri, a collaboration between artists Michiko Nitta and Michael Burton.